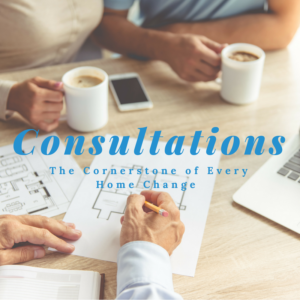 Consultations, it’s the cornerstone of every home change. Consultations. Probably the most overlooked piece of any re-model project is the initial consultation. Do-it-yourselfers tend to think they know what to do (and sometimes they’re right!) Those dependent on professionals let others make decisions for them. In both cases, it’s crucial to define exactly what you want to achieve so you can carve a clear path to that dream. Regardless of how much help you think you do or don’t need, take the time to speak with a professional designer before you start. It could save you hours of aggravation and thousands of dollars. No matter how big or small the project, it’s crucial to understand the “what” and the “why” you’re doing it. Even a minor project means some amount of work and probably temporary displacement. Why are you doing it? What do you expect to get out of it? The answers to those questions may surprise you. For example, I have a client who thought a few adjustments would upgrade her master bathroom. She ended up gutting the entire room to achieve what she really needed. As a result, she and her husband feel much better about using it in the years ahead. There’s nothing more discouraging than going through the work of a project and have it turn out to be less than you expected. Depending on how unhappy you are with the result, fixing it can cost thousands of dollars. It happens more often than you’d think. 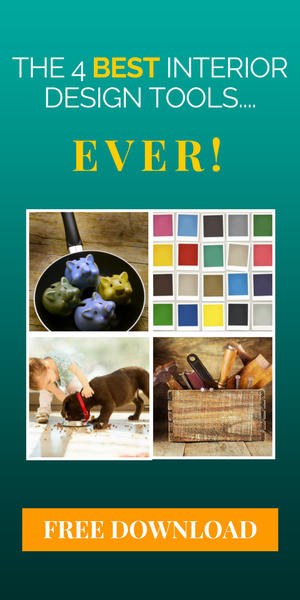 Virtually everyone wants their project(s) to make their home more attractive. When it comes out looking unbalanced, has colors that conflict or moving parts don’t function well together, the whole thing is a failure. Even if you’re an accomplished DIYer – professional designers have ideas you may not have considered. They also know the latest trends and innovations that can make it better than you originally thought. If you do depend on others, consult with a designer before you hire a contractor. In fact, the designer can refer you to contractors with good reputations to make sure you get the best service. Take note of that last one. A good designer will spend more time listening to you than telling you what you need. Personally, I get my best design ideas from my clients. When I understand what they want to accomplish, that tells me how I can help them achieve it to their standard. Consultations take at least an hour and sometimes more than one is needed. They help you clarify what you truly want and steer you in the right direction. Before you dole out a huge chunk of money, take that small step to insure you’re on the right path to create the change you truly desire. Contact us here for a consultation, we’ll help you protect your investment. ← TOE TAG HOMES – What ARE They?